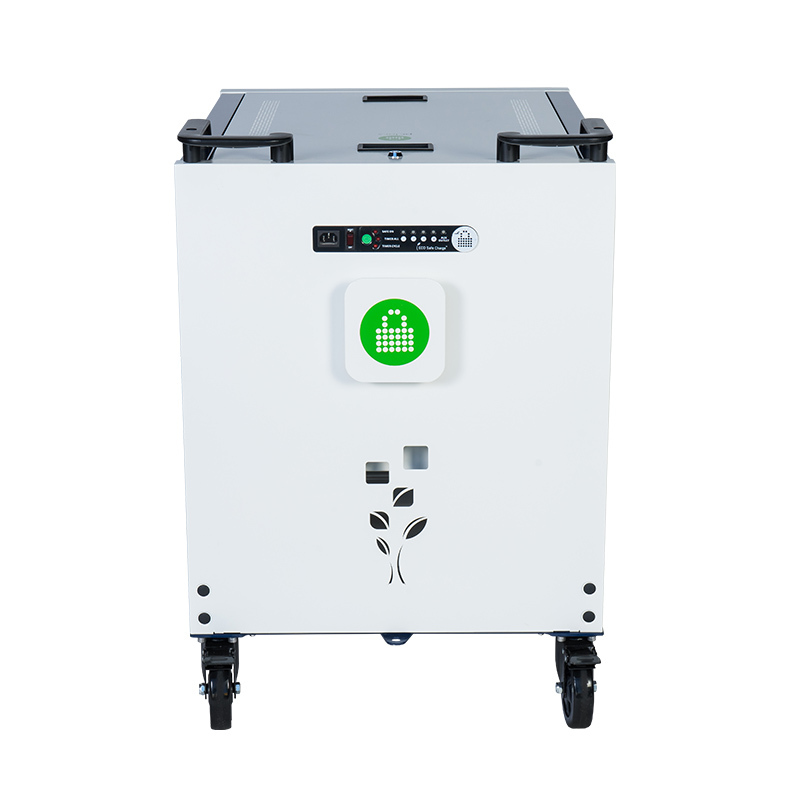 • Simultaneously charge 32 Chromebooks or Laptops. 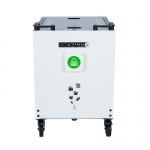 • ECO Safe Charge Power Management System for safe and efficient charging. A remote control is also included to turn on the Cart. • External LED Display. Easily and quickly see if your devices are charging and the charging mode selected. • Timed Charging. Easily set your Cart to charge for a specific amount of time. All programmable with the remote or the Cart itself. • Safe and secure. The locking system will ensure devices are safe and secure. 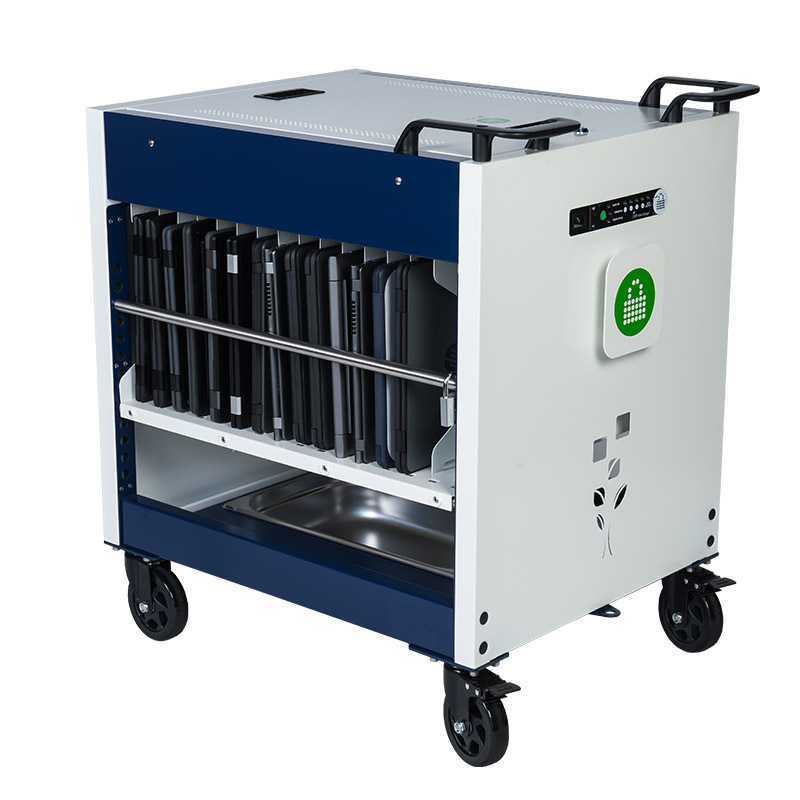 • Slimmer and compact design to fit in tighter areas and space strapped classrooms. • Two-sided open design for easy visual checks, passive ventilation and faster access to devices. • Plastic lined laptop slots for protecting devices.